The MIT Awards Dinner 1999. 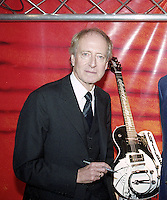 The british music industry honoured five-time Oscar winning composer John Barry OBE with the Music Industry Trust Award at the Grosvenor Hotel. Attended by Adam Faith, Sir Michael Parkinson, Don Black and Bill Kenwright with performances by David McCalmont and David Arnold.